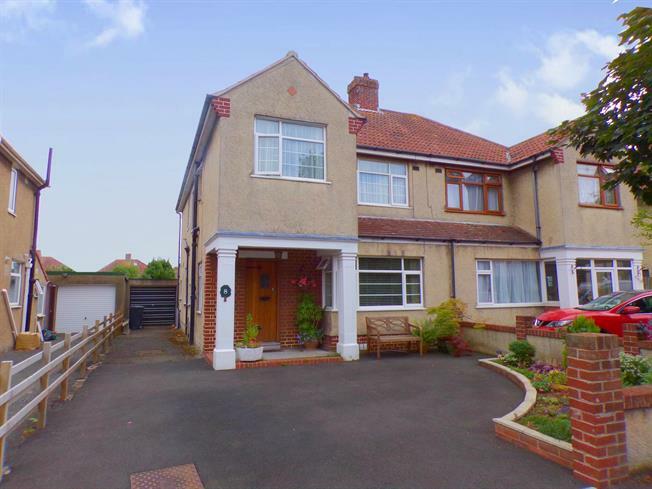 4 Bedroom Semi Detached House For Sale in Weston-super-Mare for Asking Price £290,000. This characterful four bedroom semi detached house is located in a peaceful street in the heart of Weston super Mare. The property offers spacious and light accommodation throughout and has been extended to further enhance the space. Comprising in brief on the ground floor, living room, dining room, family room and kitchen/breakfast room with four good sized bedroom upstairs and a family bathroom with separate WC. Externally the property boasts a driveway to the front providing plenty of parking, a garage and to the rear there is a large established garden with a variety of trees and shrubs.